Born in 1806, James Paxman (senior) was the fourth and youngest son of Robert Paxman (b.1768), a Blacksmith in the small Suffolk village of Sweffling. Robert died in 1807, aged 39, leaving a widow and seven children under the age of 16. James was only 13 months old when his father died. At the age of 15 he was apprenticed to a Millwright, Simon Sansom (possibly Sampson), of Greenstead on the eastern outskirts of Colchester. Some time after 1834, perhaps following the death of his employer, James took over the Sansom business in partnership with John Bowles of Sudbury. Although the business was apparently prospering, James broke his partnership with John Bowles in late 1836 or early 1837 for reasons which are unclear. He then moved to the village of Elmstead Market where he set up in business on his own account. Although James (senior) was a very able engineer, a talent inherited by his eldest son, he does not appear to have been a good businessman. Under a simple agreement dated 23rd April 1838, James Paxman, machine maker and wheelwright, gave up to Samuel Pryke, wheelwright of Elmstead Market, a wheelwright's shop and goodwill of the same on payment by Pryke of £29 - 1s - 2d, their agreed valuation of the stock on the premises. The terms of the agreement and other evidence suggest that at the time James was severely indebted to Pryke, and perhaps to others, which probably explains the reason for the transfer. It is believed he subsequently practiced his trade elsewhere in Elmstead Market before moving back to the Greenstead area in about 1840. James (senior) died in 1880 and relatively little is known about the latter part of his life. James Noah Paxman, eldest son of James Paxman and his wife Esther (née Reynolds), was born in Colchester on 7th March 1832. His keen interest in engineering showed itself early on when, as a boy, he spent much of his spare time in his father's Greenstead workshops. His father had planned a career in the printing trade for his son, believing it would offer better prospects. To this end he managed to arrange a one month trial with a respected local firm of printers. Before the month was up, young James so disliked the work that he walked out to the considerable disappointment and anger of his father. James Paxman wanted a career in engineering and even at the age of 14 his powers of persuasion were sufficient to enable him to get his own way. Thus he now started in his father's business where, over the next four years, he received his grounding in practical engineering. In 1851 at the age of 19 he was approached with the offer of a position in the Colchester foundry of Catchpool & Catchpool. He soon made an impression on his new employers, being appointed their Managing Engineer at the age of 21. In January 1858 the firm became Catchpool & Thompson and within a couple of years James Paxman became its Foreman with responsibility for the whole workforce. In 1865, with the financial backing of the Davey brothers, he left to found Davey, Paxman & Davey. By this time, he had already gained substantial experience as a practical engineer and designer having been responsible for some interest projects. These included the design and construction of a steam carriage and the design and fitting of twin steam engines in a tug boat to work river traffic between Colchester and Sudbury. James Noah Paxman was an innovative engineer and entrepreneur. Among his considerable engineering achievements were the development of highly efficient and successful steam engines and boilers. An article in a 1926 issue of the British Engineers' Export Journal paid this tribute to him "a capable and enthusiastic engineer, Mr Paxman refused to be bound down by tradition, and was always prepared to try out new inventions, and to incorporate improvements upon previous practice, and his firm has introduced many developments in boiler and engine design adopted subsequently in British and foreign competitors". For thirty years (between 1880 and 1910) James Paxman travelled extensively, developing overseas markets by exhibiting and selling his Company's products. James Paxman was married first to Elizabeth Nickells by whom he had two sons. The elder son, called James Noah after his father, ran away to sea when he was a youth, lived to 'a ripe old age' and died in 1932. The younger son Francis was known as Frank and died at the age of three. Elizabeth died of a deep vein thrombosis shortly after Frank was born. In 1861 James Paxman married Sarah Page. Their first son, Henry William, died in infancy. Then came two daughters, Elizabeth and Martha. The fourth child, William, eventually joined his father in the business (see below). Sarah and Martha died of tuberculosis. Thirdly James Paxman married Florence Muriel Sanders, daughter of Edwin Sanders a Mayor of Colchester (Sanders and Paxman were both leading figures in Colchester's civic life). Their first child, Edward Philip, was ultimately responsible for the development of Paxman's diesel interests. Their other child was Mary, born in October 1902 and always known as Jane. Muriel Sanders' brother, Percy Alan Sanders, later Sir Percy Sanders, served a gentleman's apprenticeship with Paxman and became a key figure in the management of the Company until well after the Second World War. He was appointed joint Managing Director, with Edward Paxman in 1932. Percy Sanders also involved himself heavily in Colchester's civic life, becoming Mayor in 1921/22 and serving as Mayor four times in succession, from 1939 to 1943. Muriel herself, sometimes referred to by the workforce as 'Grannie Paxman', maintained a strong interest in the welfare of the company and its employees well into the post-war period. James Paxman lived at St Leonard's House on Hythe Hill, opposite his factory, until 1893 when he bought and moved to Stisted Hall, near Braintree in Essex. He was elected Alderman in 1892 and was twice Mayor of Colchester, in 1887/88 and 1897/98. During his second mayoralty he helped to promote the rebuilding of Colchester's Town Hall and bore the cost of the Victoria Tower which houses the Town Hall clock. He was Sheriff for Essex in 1903/4. In 1906/7 James Paxman sold Stisted Hall and in 1908 moved to Croft House, near Hampstead Heath, which became his home for the next eight years. Around the time of the move to Hampstead he effectively relinquished day to day management of the Company to his son William. His last years were spent in partial retirement at Bournemouth. James died on 30th March 1922, aged 90, leaving a widow, three sons, and two daughters. William, James Paxman's son by his second wife, Sarah Page, spent some time in his father's business before completing his education in London in 1888. He rejoined the firm in about 1890 and was taken into partnership in 1894. 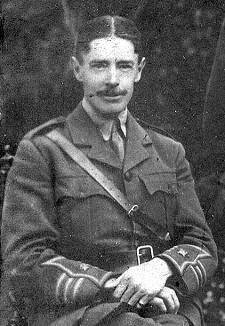 During the First World War he was on active service from January 1915 until the end of hostilities and was decorated for his services. 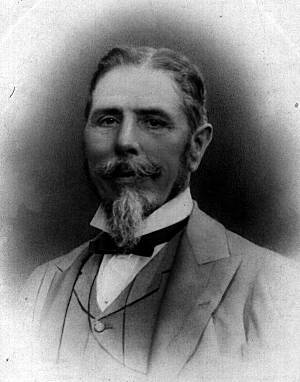 After the war Major William Paxman resumed his senior role in the management of the Company, being on the Board and for a time Deputy-Chairman. During the First War, his daughter was a forewoman at Paxman, involved in the Company's war production. Sadly William did not share his father's ability, drive, and self-confidence. He did not display the strong business acumen or leadership qualities suited to a senior management role, referring most decisions to his aging father. During a difficult time in its history the Company could have benefited from clearer and firmer leadership. William did not rejoin the Board of Directors when the Company was re-formed after the AGE crash in 1932. James Paxman's youngest son, Edward Philip Paxman (known to close colleagues as Ted), was born on 2nd August 1901 in Belgium. He attended Oundle School before going on to St John's College, Cambridge where he achieved 1st Class Honours in Mechanical Engineering. After graduation in 1923 Edward Paxman went to Metropolitan-Vickers Electrical Co Ltd at Trafford Park, Manchester, for probably about a year, to gain industrial experience. His post-graduate training continued with a year or two at Blackstone & Co Ltd of Stamford. At the time Blackstone, like Paxman, was associated with Agricultural & General Engineers Ltd. (Blackstone later became part of Mirrlees Blackstone, now owned like Paxman by MAN B&W Diesel Ltd.) At Blackstone Edward gained a knowledge of the practical business of designing and manufacturing oil engines. Perhaps it was here he acquired his interest in the development of the diesel engine. It was to become a consuming interest which shaped the whole future of the company his father had founded. Edward joined Davey Paxman & Co in 1926, shortly afterwards becoming Chief Engineer. He was subsequently appointed a Director of the Company. When Paxman became associated with Ruston & Hornsby in 1940, he was appointed a Director of that Company and Managing Director of Paxman. During World War 2 he worked closely with the Admiralty on the design of the Paxman 12TP engine and arrangements to manufacture it in volume for the Tank Landing Craft programme. There seems little doubt that the hectic demands on him of directing Paxman's war effort contributed to his early death in 1949. The pace hardly lessened immediately after the War when there were the pressures of developing new products and markets for peacetime conditions and responding to urgent demands for large numbers of engines and generator sets despite shortages of materials and skilled labour. During his time with Metropolitan-Vickers Edward Paxman developed an interest in motor sport and in 1925 purchased second hand a Plus Power-engined Frazer Nash sports car (Reg XW 8548). He regularly competed in trials and reliability runs with H J Aldington (Aldy) the Managing Director of AFN Ltd which built Frazer Nash cars. In September 1929 Edward became a shareholder of AFN and held his one share until after the war. During 1933 Aldy had long discussions with him about engine design and further development of the Henry Meadows engine then used by Frazer Nash. Edward Paxman's diesel engine knowledge, particularly of combustion chamber design and gas flow, played an important part in the development of what was called Frazer Nash's 'Deflector Head' engine. This incorporated lobes in the combustion chamber to promote swirl and improve combustion. 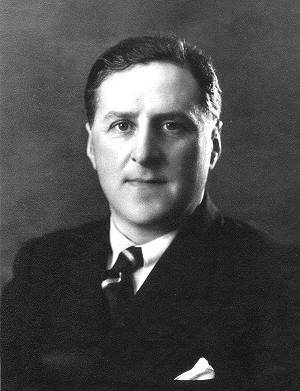 (1) It is interesting to note that around this time Edward Paxman was busy developing his first high speed diesel engines at Colchester with the help of Harry Ricardo. An important feature of the combustion chambers of these engines was the Comet head which again was designed to promote swirl and a better combustion pattern. Another of Edward Paxman's leisure interests was motor cruising. Geoffrey Bone recalls that his Managing Director's trips did not always go according to plan. From time to time there would be an urgent telephone call to senior management at Colchester demanding immediate rescue from some unforeseen situation! His boat 'Alouette II' shared the premier award at the 1947 Pavillon d'Or cruise in Belgium and Holland. Comparatively few letters and papers of Edward Paxman appear to have survived. Among those that have are three Service Agreements with the Company. The first, dated 19th August 1932, relates to his appointment from 4th August as Joint Managing Director (with Percy Sanders) of Davey Paxman and Company (Colchester) Ltd, the reconstituted company formed after the collapse of AGE. At this time Edward was living in St Clare Road, Lexden, Colchester. Under the agreement his salary was to be £1,500 p.a. plus 5% of the Company's net profits each year. The next Service Agreement we have is dated 1st February 1940, soon after Ruston & Hornsby of Lincoln gained the controlling interest in Paxman. By this time Edward Paxman is living at 171 Lexden Road, Colchester. An interesting feature of the Agreement is a provision relating to the War. Edward Paxman was appointed as Managing Director for seven years "or until the expiration of five years after the cessation of the present hostilities between Great Britain and Germany, whichever period shall be the shorter". Under the new Agreement his salary was increased to £2,500 p.a. but his profit share reduced to 1¾% of annual net profits. The Agreement was signed by two Ruston Directors, George Sharpley and Victor Bone. The latter was the father of Geoffrey Bone who joined Paxman in 1945 and was its Managing Director from 1954 to 1964. The third Agreement is dated 3rd December 1947. Edward Paxman was still living at 171 Lexden Road, which must be the house 'Deoban' referred to below. The Agreement notes that the Service Agreement dated 1st February 1940 "was terminated on 31st January 1947 by mutual consent". It goes on to say that "Mr Paxman shall serve the Company as the Managing Director of the Company's business for the term of five years from 1st February 1947 and thereafter until the said employment shall have been terminated by not less than 12 months notice …". Edward Paxman was given liberty to terminate his employment by not less than six months notice if Paxman ceased to be a subsidiary of Ruston & Hornsby or if the control of R&H Ltd "shall become exercisable by a person or group of persons of whom Mr Paxman shall not approve". His remuneration under this Agreement was an initial salary of £5,000 p.a. plus a commission of 1¾% of annual net profits in excess of £26,250. In addition he was entitled to £250 p.a. to meet casual expenditure, on top of travelling and other specifically vouched expenses. Among other surviving papers are copies of detailed letters Edward Paxman sent to the Admiralty and the Ministry of Supply between May and December 1942. These relate to his proposals for evacuating both Standard and Britannia Works from Colchester in the event of enemy invasion. It seems that Edward Paxman felt a heavy burden of personal responsibility for ensuring that, if evacuation became necessary, the factories should continue in production until the last possible moment and all completed or nearly completed items for the war effort should be removed from Colchester. The plans he formulated included the removal of no less than 1,700 tons of material from Standard Works alone, for which it was estimated 200 ten ton railway coal trucks would be required! Transcripts of this correspondence are available, on request, for serious historical researchers. Edward Paxman married Dora and lived at 'Deoban', a large house in Lexden Road, near St Leonard's Church, in Colchester. They had two daughters, Carol and Diana, and a son, Philip, all of whom are still living. Sir John Greaves, who took over as Managing Director after Edward's death, subsequently lived at 'Deoban'. 1. From Chain Drive to Turbocharger - The A.F.N. Story, Denis Jenkinson, Patrick Stephens Ltd 1984 (ISBN 0-85059-631-9). 2. Diesel Railway Traction, May 1949, p 95.